Oh Snap! Fuzzy Monkey just went 3D!! 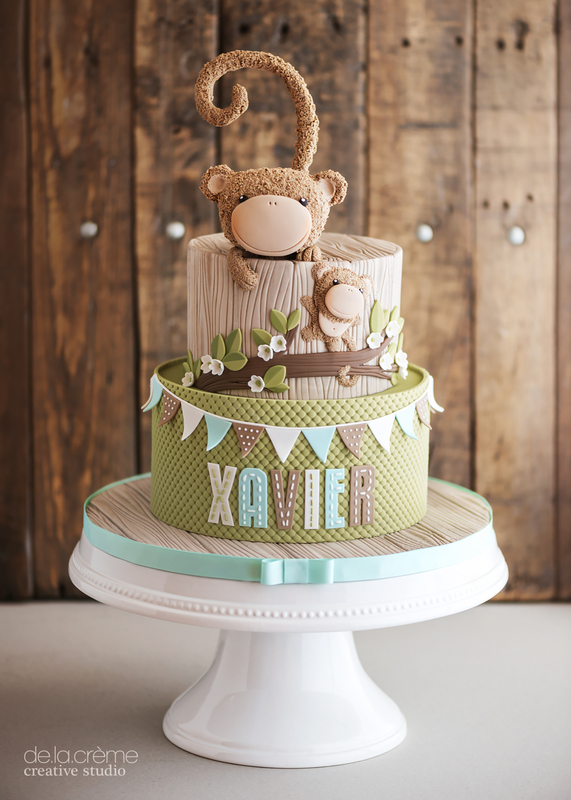 For those of you who remember the Fuzzy Monkey Baby Shower Cake we created last year, well, 'Baby Xavier' just turned one (I know, how time flies!) and in a few short months he will be getting a new sibling. 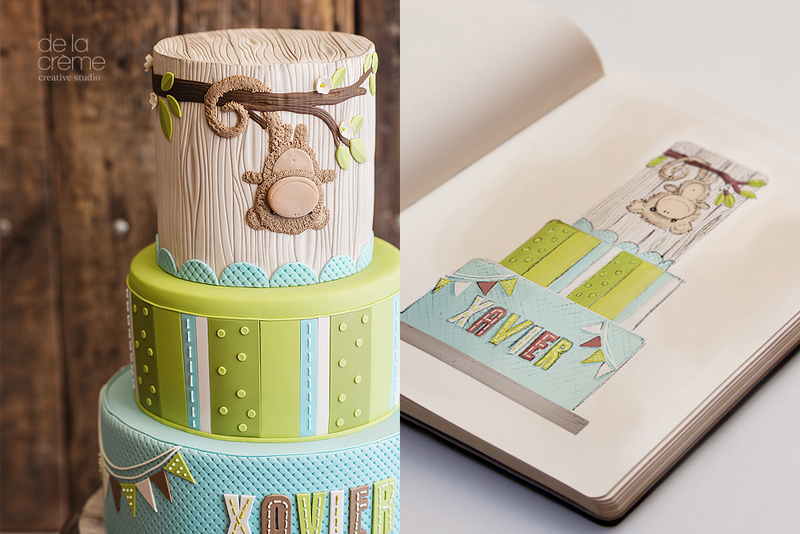 So we teamed up with Courtney and Joe again (mom and dad) to continue the theme and created a combined first birthday cake for Xavier and a gender-reveal cake for the new baby. 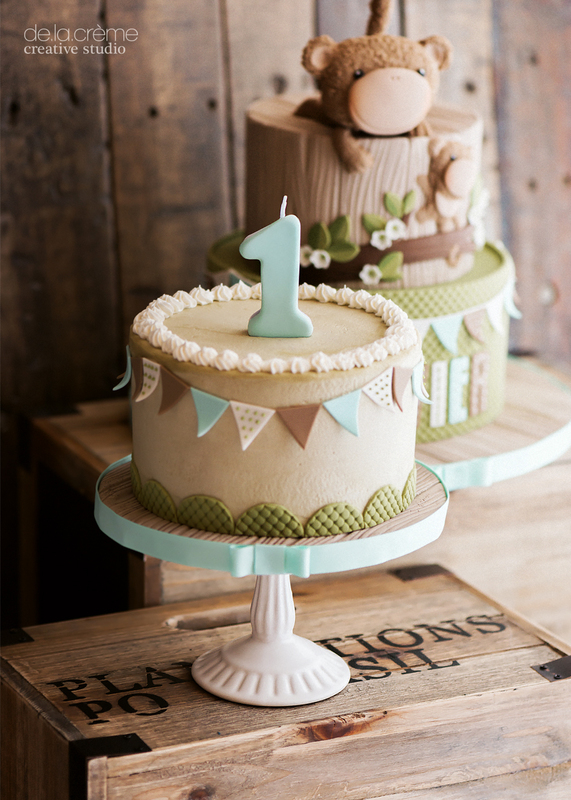 Curious?…it's gonna be a boy!!! 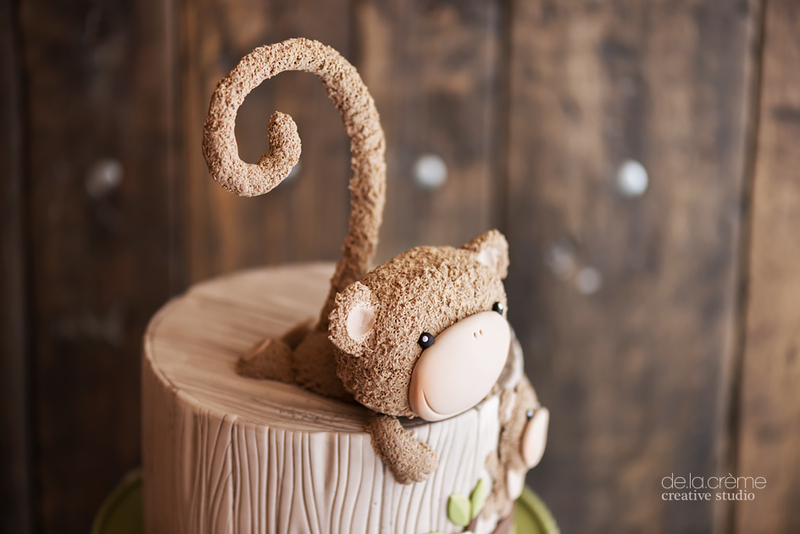 Who would have thought that a fuzzy little monkey would become the star of his own cake and then grow up to become a cute three-dimensional edible cake topper?! 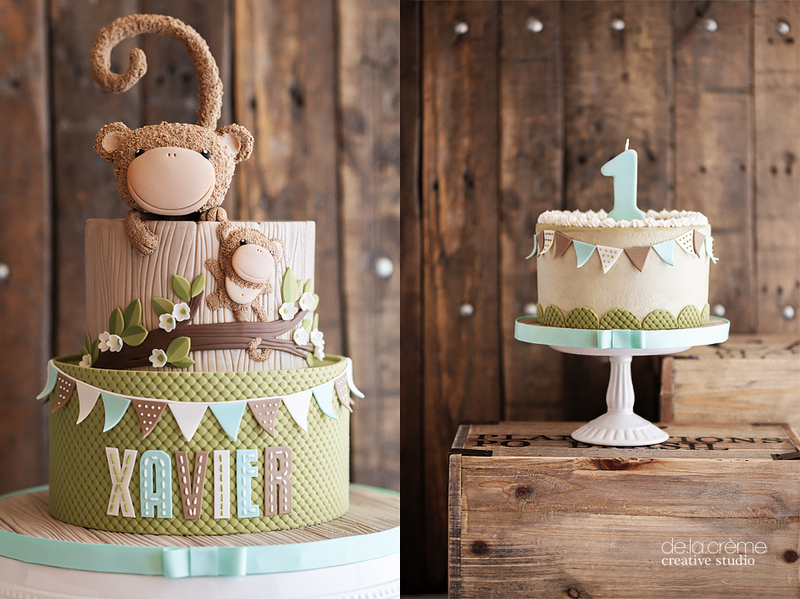 Xavier's mini cake was smashed open to reveal baby blue, french vanilla buttercream—yay, you're getting a little brother! 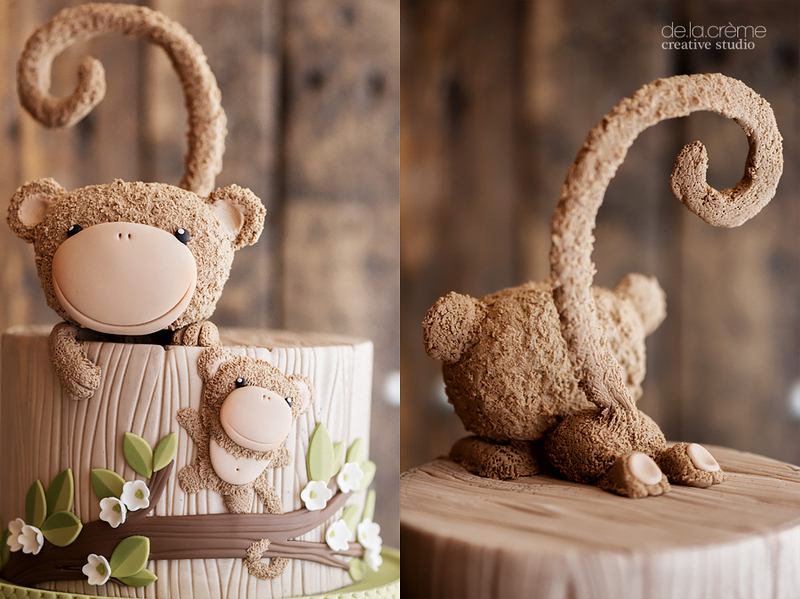 Original Fuzzy Monkey Cake created for Xavier's Baby Shower. I don't know where I'll be on any given day, or what I'll be doing for that matter—I like to keep it interesting. 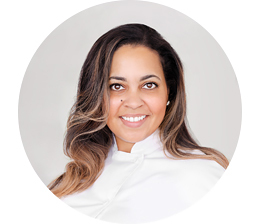 I could be in the studio, shooting on location, whipping up a sugary masterpiece in the kitchen, or designing works of art, one pixel at a time, at my desk. But what I do know, is that this little blog is where you can keep up with my latest creative projects. Sign up to get blog updates and news delivered to your inbox! We'll only send you stuff you want to see, promise.